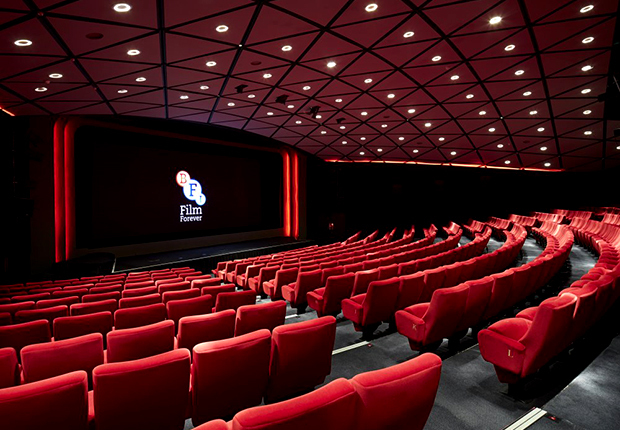 I’m speaking at the BFI Media Conference this year – the conference for teachers of Media Studies in UK schools. I thought I’d better accept the invitation this year because I was surprised, last summer, to hear that I was one of the named theorists on the newly-published National Curriculum for ‘Media Studies’ at AS and A-Level. I’m one of the 10 theorists you have to know about, apparently, for AS Level, and one of the 21 named for A Level. Which is, as you might expect, both pleasing and weird. Half of the named theorists are dead, so an additional responsibility is borne by the still-here to engage with the nation’s teachers, before we too pass on to the great Curriculum in the sky. In the Department for Education’s specification, each theorist is associated with a topic, typically represented by one word. Or to put it the right way round, each of the one-word topics comes with one theorist. In my case it’s ‘identity’. It says: ‘theories of identity including Gauntlett’. And that’s all it says. Annoyingly – and I hope we can ignore this as much as possible – this is under the ‘representation’ section. But anything I’ve said about identities is about (ages ago) people considering ‘media texts’ within their construction of a sense of identity, or (more recently) people developing their identities through creative practice using today’s media tools. So none of that is about ‘representation’ per se. It’s about what’s happening within people, and is not really to do with what’s in ‘the media’ – although in the case of each individual, there will be a few hundred or few thousand ‘media texts’ which have been more impactful than others (although all of it is relevant). And it’s about making things, but often not in the terms of the old media-studies idea of ‘representation’ (though it might be). Crikey. In short, I’ve been put in a box, not of my own making. I understand it might be confusing for media studies teachers, because it’s confusing for me too. If they were including me in the National Curriculum for Making is Connecting then I’d be happy. But that’s not quite what they did. (Or did they?!). If I now try to be helpful to teachers and their students by spelling out all of the ways in which Making is Connecting is about identities, is that legitimate as a thing that people can write about when faced with coursework or exams about ‘theories of identity including Gauntlett’? I really don’t know. I don’t see why not. But I suspect that the makers of this curriculum, whoever they are, might begin wishing that I was one of the dead ones after all. In any case, I’ll be at the BFI Media Conference at the end of the month (in the plenary on the afternoon of 30 June 2017) to talk about these things and hopefully provide some answers! If you’re a UK media teacher and you’d like to offer any thoughts or questions in the comments section below, please do. Thank you. I must admit, having got finally got the chance to do some tentative planning work for the new Media course, to see you listed under Representation. It certainly seems a rather reductive label! Anyway, looking forward to the BFI conference. * “a fantastically messy set of networks filled with millions of sparks – some igniting new meanings, ideas, and passions, and some just fading away”. This is all explained more in the talk of course; and the BFI say there will be a video online afterwards.